2:15pm Menopause Management: Where Are We Now? 8:00am The Health Consequences of Smoking: 50 Years of Progress for Women? 8:30am Abnormal Uterine Bleeding: What Now, What Next? 11:15am Paps & Pelvics: Where Do We Stand? 2:30pm Fibromyalgia: Where Do I Begin? 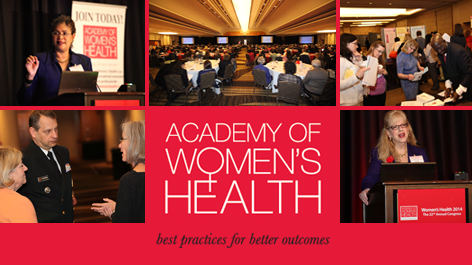 Are you a member of the Academy of Women's Health? Members save on registration to the Congress (among many other benefits). Join today.